A senior steering group formed to drive forward plans to develop Fremantle Ports’ historic Victoria Quay as a vibrant, people-oriented waterfront precinct has met for the first time last week. 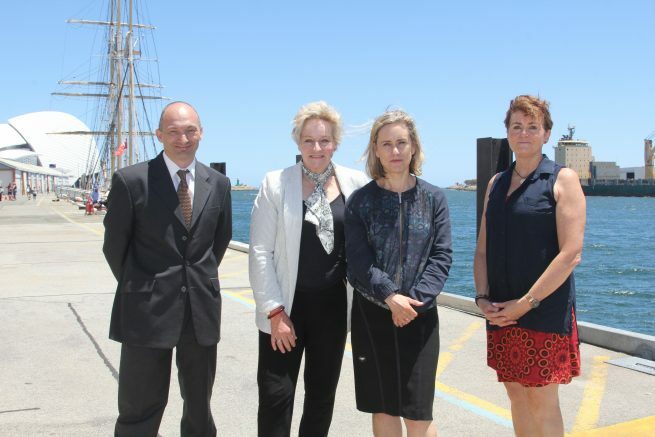 “There are numerous examples around the globe where inner-city port areas have been spectacularly transformed to create exciting waterfront areas,” said Ports Minister Alannah MacTiernan. “We can do the same in Fremantle and mastermind the development of one of the world’s great inner-city port developments. Our goal should be achieving a transformation in a staged manner that is world-class. Planning Minister Rita Saffioti said, “A great deal of high-quality planning and consultation has already taken place in the past decade or more, so considerable groundwork has been done. State Member for Fremantle Simone McGurk said the quay has always been an integral part of Fremantle’s history, and it’s the right time to push through and transform it into a high-quality destination for both Western Australians and international visitors. “This area has a spectacular harbour outlook, a rich and diverse history, cultural meaning for the Aboriginal community and has huge tourism appeal.